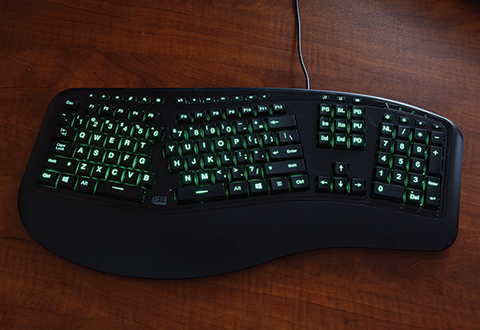 The Ergonomic Backlit Gaming Keyboard is the deluxe computer keyboard with three eye-soothing backlight colors (red, green or blue) to help you work or play at night. 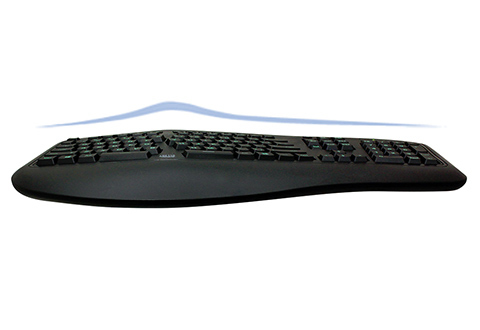 Plus, split key zones and gentle slopes that encourage the natural placement of your hands, wrists and forearms. 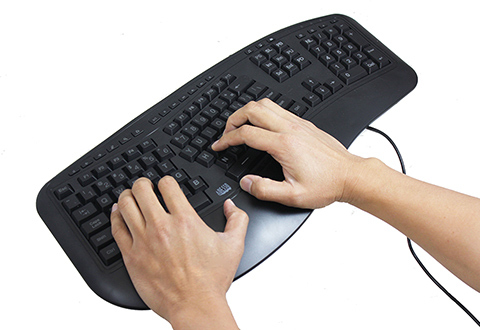 Features a 105-key U.S. layout, dimmable backlight, jumbo backlit letters and 20 hot keys to control media, Internet, e-mail and other common applications. 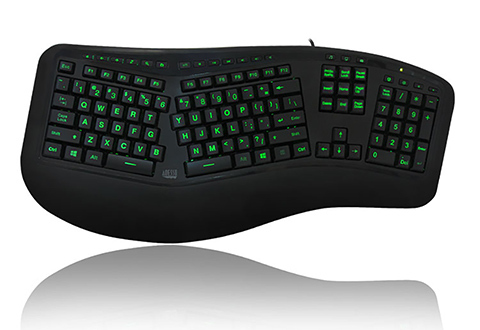 Requires Windows® 8/7/Vista/XP/2000. 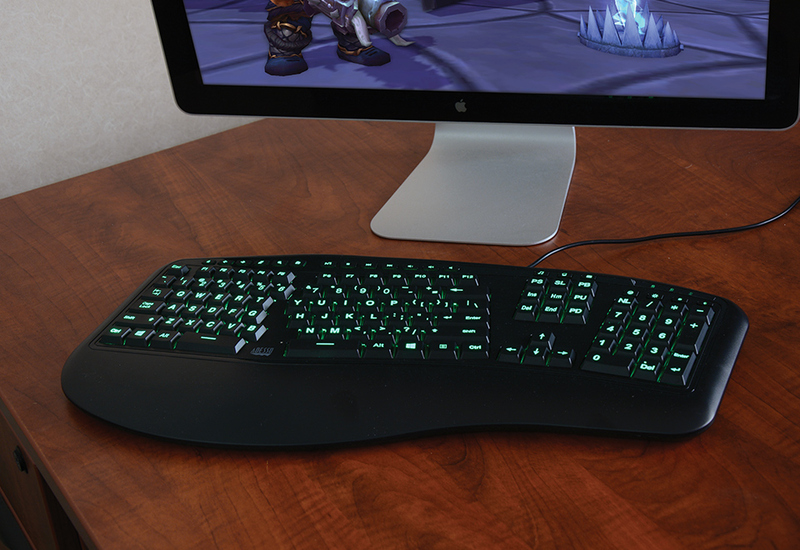 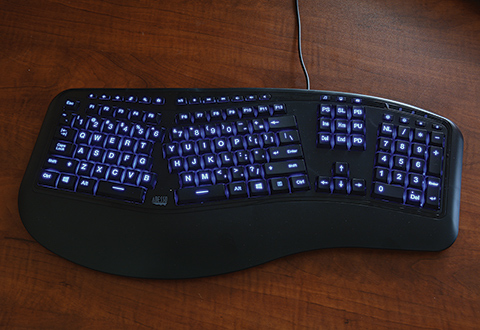 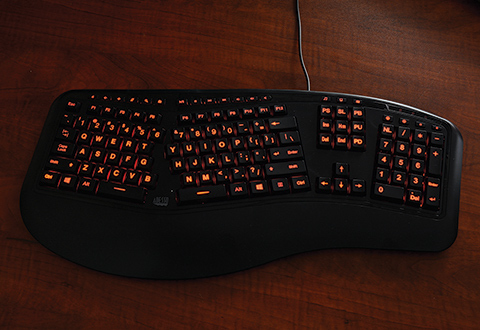 The Ergonomic Backlit Gaming Keyboard makes it more comfortable to work or play computer games — even in dim lighting!